Communication Federal Credit Union wants you and your family to have a safe, convenient location when storms are near. CFCU offers a storm shelter program to help our members acquire the life-saving shelters that are so desperately needed. We currently offer homeowners storm shelter loans at 2.74% APR* for qualified borrowers! We will work with you on the term for a payment that fits your budget!  Don’t be fooled by other lenders or installers offering 0% storm shelter loans. They inflate the cost of the shelter, rather than charging interest. Ask for the best price on the shelter and apply for financing with a credit union you know and trust! Often, we can look at loans you have with other lenders, move them to CFCU and save you enough each month to offset the cost of your storm shelter payment. CFCU’s goal is to provide the highest level of service at competitive rates. Our Loan Processors are only a phone call away if you need help. Contact us at 405.879.5654 or 800.522.3535. ** Payment amount based on a $3,500 loan at 2.74% APR*.